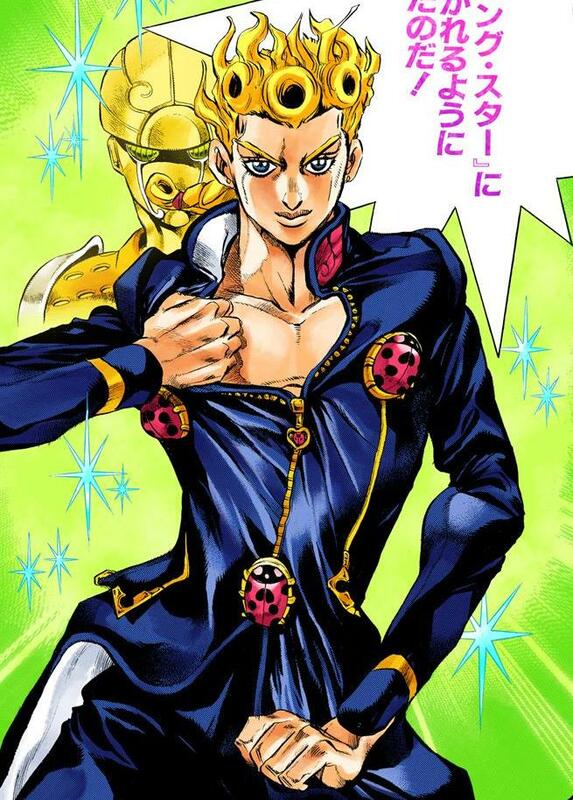 I, Giorno Giovanna, have a dream. Title: I, Giorno Giovanna, have a dream. I will become... a [ Gang-star ]! Great application of a limited palette. Hahaha I could tell it was JoJo from the preview, especially by the way you used the colors. Looks brilliant. Recognized Jojo's style right from the preview. You have done very well, especially with the hair... these curls are a nightmare! Seeing the full pic though, I feel like it is a bit unbalanced in contrast: since the bottom is way darker it draws all the attention (not really your fault considering how light are the blue and purple colours of the palette). The eyes especially could use a couple few more black pixels to strengthen the look, as this latter is always very intense in Jojo's art. Maybe some more black pixels for the ears outline too. Anyway, great take on this one!